Purple sprouting broccoli has been popular in the UK for some time, but it’s just recently making its way into farmer’s markets and produce stands in the United States. It does particularly well in the Pacific Northwest because of our climate. Mild winters allow the plant to overwinter and continue to produce healthy heads. We grow our own on our 50-acre farm in Cornelius, Oregon. 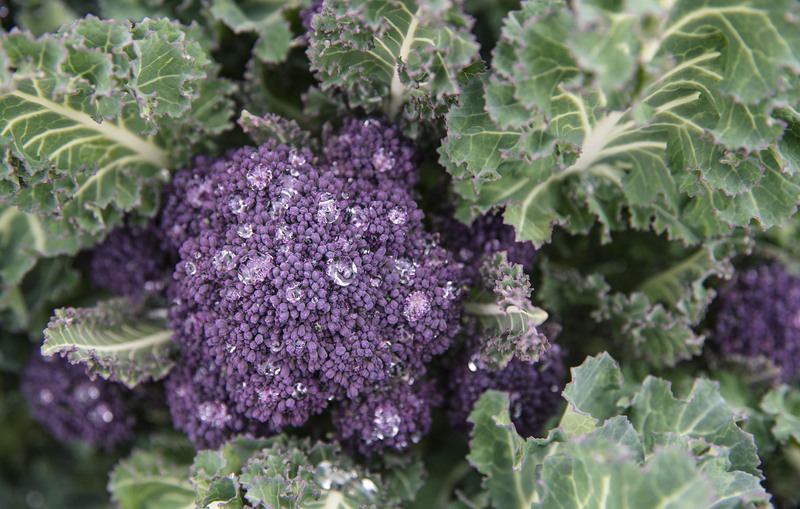 So, what is purple sprouting broccoli? This heirloom variety is similar aesthetically to broccolini, but the florets and leaf edges are a deep purple. 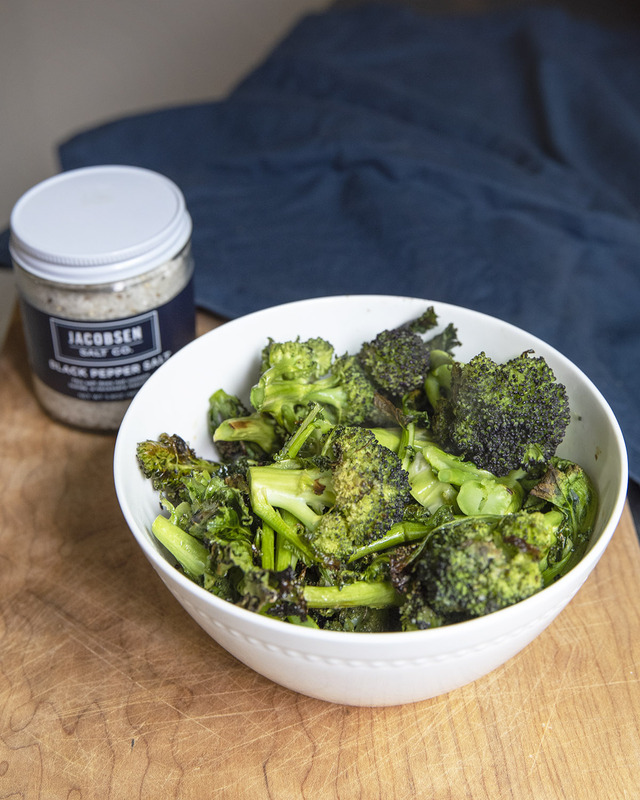 The taste is also what you might expect from broccoli, but with a slightly spicy kick. It’s sure to add extra flavor and visual interest to your meals. It can be eaten cooked or raw, but when you cook it, it will lose much of its color. Prepare broccoli by cutting the purple florets from the stalk. Peel the stalk and cut larger florets in halves or fourths. In a large mixing bowl, mix cooking oil, broccoli florets, salt and pepper until the florets are evenly coated. Lay mixture out evenly on a baking sheet. Use parchment paper for easy cleanup if desired. Cook for about 10 minutes or until the broccoli is tender and lightly browned. Tip: Save the larger leaves to roast with the florets. They become a crunchy crisp similar to kale chips, but with a broccoli kick. When we choose items for the natural foods store at Blooming Junction, we choose local, high-quality products. Jacobson Salt Co is the first company to harvest salt in the Pacific Northwest. They harvest from Netarts Bay on the Oregon Coast and package in Portland, Oregon. They are nationally recognized for their quality ingredients. Why not pair your local produce from Blooming Junction with local seasonings as well?